July 2011 ROTM Nomination Thread! Well, my central air crashed yesterday so it must be July. Oh well.... it just means I'll have to go ride around really fast all day in order to stay cool. Anyway, this is the place to nominate your favorite bikes for July 2011 Ride of the Month. Once we get 5 nominations, I will start a voting thread where everyone can vote for their favorite to win. -- Someone else "seconds" the bike if they agree with the nomination. With that out of the way........ nom nom nom. Last edited by 2kClutch; 07-11-2011 at 04:06 PM. It ain't you mate , I just tried everything and the pic url cant seem to be ripped off for use elsewhere ..?? Must be new CBRF Album software or some chit ? Sheesh , we might have to keep most pics like for the ROTM on external servers ... ? ^ I was gonna do that. Too much work. Last edited by Sprock; 07-09-2011 at 12:00 AM. yeah, the new albums have some annoying quirks. 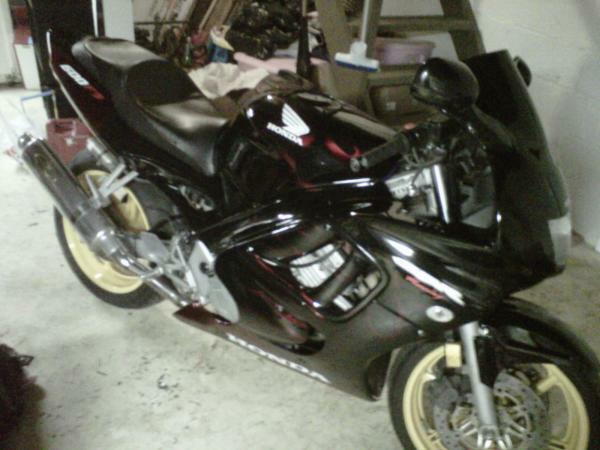 i nominate Cupcake's 2011 Givi Saddlemaster. ... chit , "how the **** did Dylan do it ? " and how much chit are you in for posting up Marks photo again !!!! I second the Cupcake nomination, it needs to go out to a wider audience and this may be just the vehicle to achieve that. Yup regener8ed, I though I knew how to get around it? but nup ? Quick Reply: July 2011 ROTM Nomination Thread!